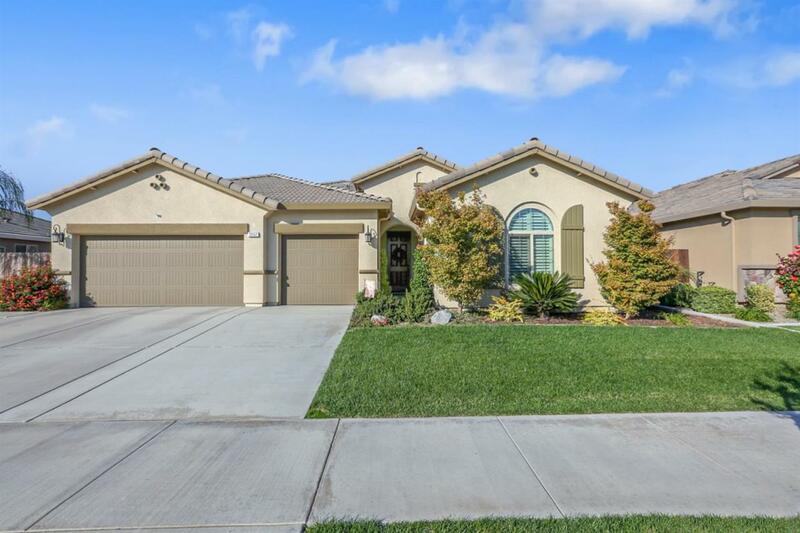 Spectacular home in desirable NW Visalia with a sparkling pool and spa! The expansive kitchen is open to the large great room with a convenient center island, gorgeous granite counters, custom subway tile backsplash, and ample cabinetry. You will also find 4 spacious bedrooms with a grand master suite, and includes a luxurious master bath with dual sinks, a large separate shower and soaking tub, and generous closet space! The well-manicured backyard features a covered patio and additional patio areas for relaxing and entertaining. A 3-car garage and possible RV parking top off this wonderful home. Don't wait! Call for your private showing today!